TV show dates: January 5, 2016 — November 22, 2017. Performers include: Ivana Baquero, Manu Bennett, Emilia Burns, Austin Butler, Poppy Drayton, Aaron Jakubenko, Daniel MacPherson, John Rhys-Davies, Marcus Vanco, Vanessa Morgan, Malese Jow, Gentry White, Caroline Chikezie, and Desmond Chiam. Set millennia in the future, this fantasy series follows three unlikely heroes, on their quest to thwart a demonic army. When the Ellcrys Tree begins to fail, it signifies a threat to the Four Lands. It is said each leaf represents a single demon. As the leaves fall, creatures of darkness are released from the Forbidden Zone. If the tree dies, the world will end. Raised by her grandfather, after the death of her parents, Elvin Princess Amberle Elessedil (Poppy Drayton), longs to prove herself. When she has a vision that the world is ending, because she broke the rules, Amberle departs the palace to seek the truth. Strong yet vulnerable, the human Eretria (Ivana Baquero) belongs to the abusive, hostile Rover clan. This self-taught woman is skilled in weaponry, the hunt, and the art of seduction. As the quest progresses, she learns compassion and selflessness. After his father dies, Elf-Human Wil Ohmsford (Austin Butler) is raised by his mother and an uncle. When his mother passes, Wil realizes he wants to be a healer. It is on his journey that he meets both Eretria and Amberle. Wil, who was raised as a farm boy, soon learns he is the last descendant of the Shannara bloodline. Surprised at his ancestry of kings and warriors, Wil must find the hero that lies within. If he can unlock the power of the Elf Stones, he can defeat the demons. With the Four Lands in grave danger, this trio — united in destiny and purpose — sets out to to save the world from destruction. Despite his painful past, the last Druid, Allanon (Manu Bennett), must use his wisdom and powers to protect and lead the elves, and save the world from a great battle. Along with Wil, he realizes Amerbele is necessary for the salvation of the Four Lands. Amberle’s granddfather, the aging Elvin King Eventine (John Rhys-Davis) was instrumental in ending the war of the Four Races. Since then, he has kept secret the truth about magic and demons. While he wants the best for his kingdom and family, his decisions have not always been beneficial. Try as he might, Eventine’s son, Arion (Daniel MacPherson), wants the crown, but does not have what it takes to succeed his father. Arion’s brother, Ander (Aaron Jakubenko), may deserve the crown, but is lacking in will. What do you think? 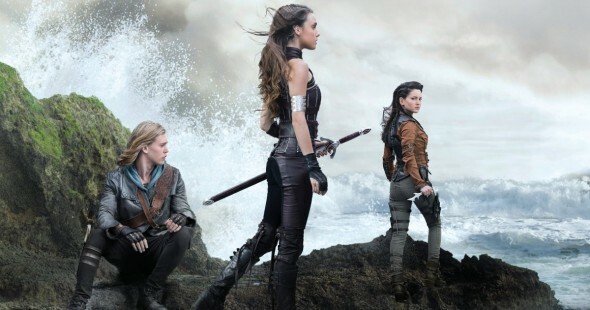 Do you like The Shannara Chronicles TV show? Do you think it should be cancelled or renewed for another season? The Shannara Chronicles: Cancelled or Renewed for Season Three on Paramount Network? The Mist: How Will the Stephen King Novella Be Adapted Into a TV Series? I found this show on Netflix and I really hope it continues soon. It would be terrible to end it with Will stuck with all the demons. I don’t like very much of today’s programming, but it appears if I like it it gets cancelled. Many years ago my son intoduced me to Terry Goodkinds Sanaa books. I loved them and would love to see this series continue. Would also love to see some Children of Shannara full length movies. Found the show on Netflix. Hope to continue it soon with Season 3. I can see this becoming an evergreen show. I loved the books and would really, really like the series to continue. There is so much material that can be taken from the books and with the right direction and scriptwriting, this show could run for many successful seasons. I think this is a great show, and have enjoyed every episode so far. Please renew!! Please see that someone picks it up and continues!! Really liked this show, a friend told me to watch it, was disappointed when she said no one has picked it up to keep it going. I thought it was good. Would really like to see it continue.